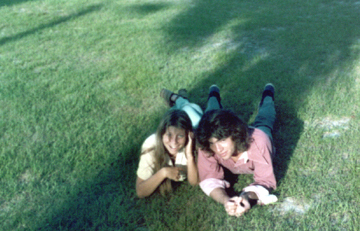 Michelle Miller and Robbie Ahern, both class of 1976, laying on the front lawn in a photo from 1975. They met at FCA, and have stayed together ever since....one of our married alumni couples. Photo sent in by Art Copeland, class of 1976.